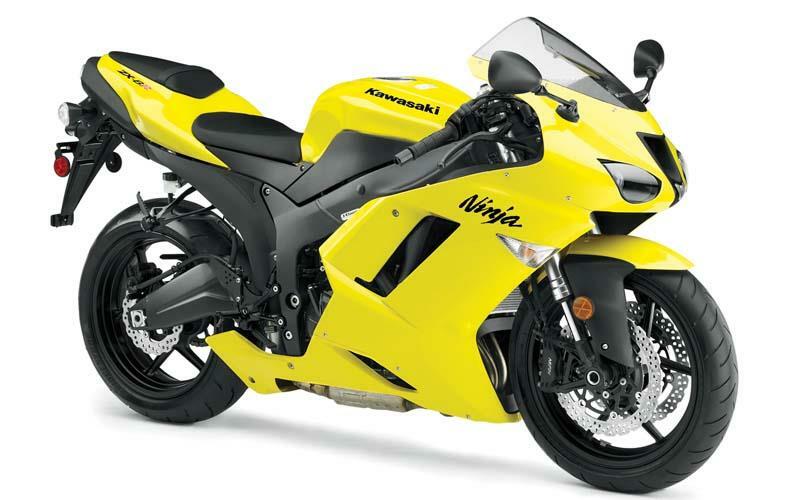 Kawasaki has revealed two special paintschemes for its top sportsbikes – but fortunately they’re not going to be offered in the UK. 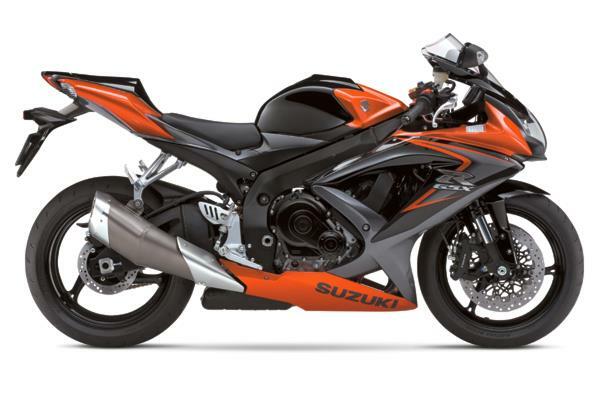 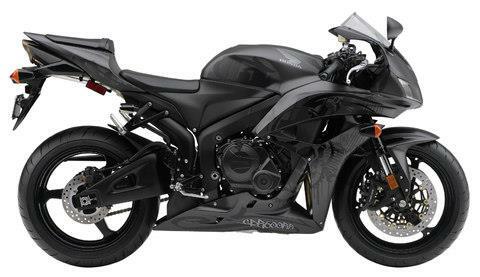 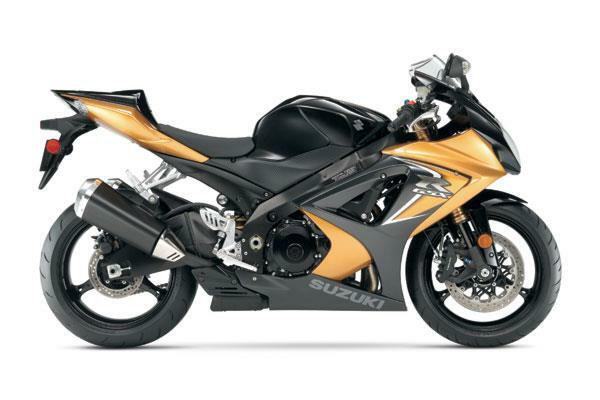 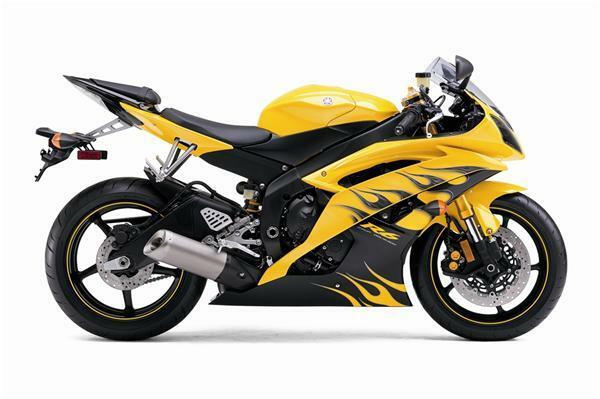 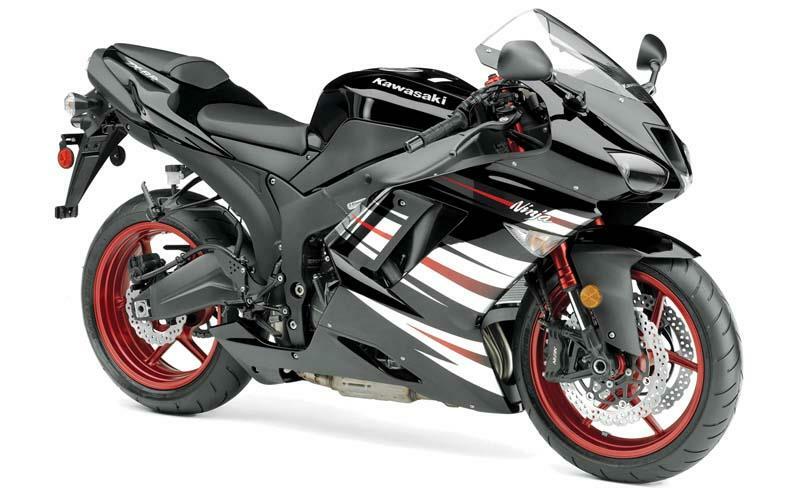 The America-only special edition 2008 Kawasaki ZX-6R gains black paint, with red wheels and chrome-effect stickers. 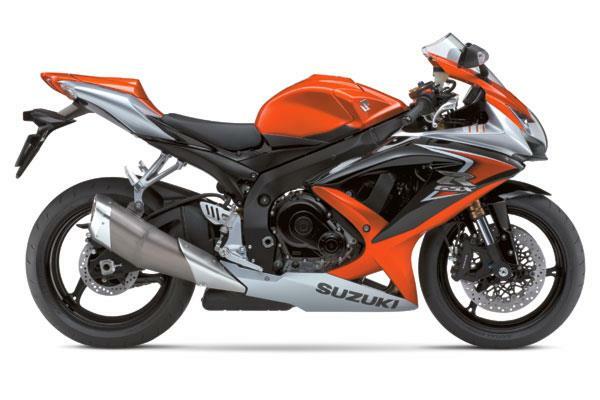 To complete the unusual appearance, even the fork legs are anodised red to match the wheels. 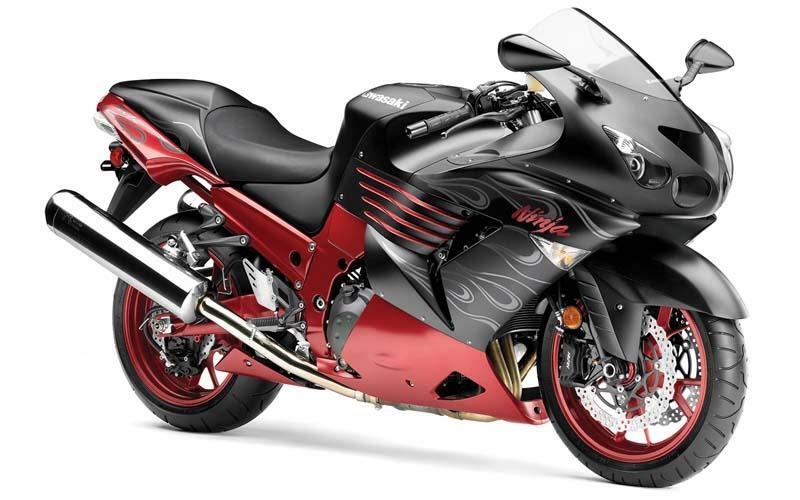 Kawasaki’s latest interpretation of the ZZ-R1400 is even more eye watering, gaining a similar red-and-black theme but with flame-effect graphics and a red anodised finish on the entire frame, subframe and swingarm as well as the wheels. 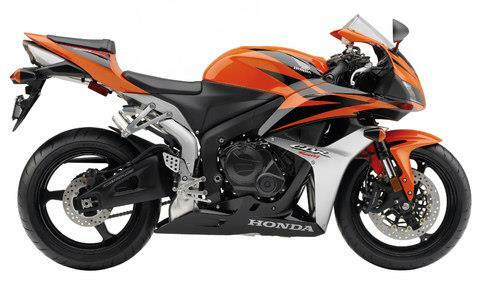 But if you think these are bad, it’s not only Kawasaki who are getting in to the idea of ‘interesting’ colour schemes, Honda, Yamaha and Suzuki are at it too. 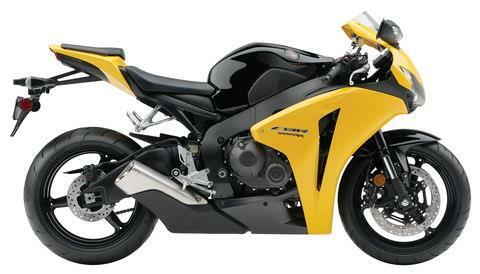 Here we have the best of the bunch in full glory, the Honda CBR600, Honda CBR1000RR Fireblade, Kawasaki Ninja 250R, Kawasaki ZX-6R, Kawasaki ZZ-R1400, Suzuki GSX-R600, GSX-R750, GSX-R1000 and Yamaha R6.